KEEP YOUR EARS SAFE AND ENJOY YOUR TRIP. Traveling on a plane means dealing with changing air pressures, which can cause ear pain. Wearing these state-of-the-art ear plugs can help regulate air pressure and prevent your ears from aching. TUNE OUT NOISY PASSENGERS AND GUESTS. Whether you’re riding a bus with noisy people or sleeping in a crowded hotel, the Earmonix Flying & Travel Earplugs will help reduce background noise and ensure you can rest and relax. MEDICAL-GRADE TPE ENSURES YOUR COMFORT AND SAFETY. The earplugs are hypoallergenic and won’t irritate your ears. Their triple flange design seals out noise and the soft conforming material is so comfortable you won’t hesitate to wear them during your trip. 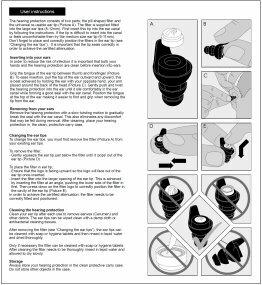 PROTECT YOUR EARS WITHOUT CARRYING ADDITIONAL LUGGAGE. No need to worry about adding extra weight to your carry-on — the Earmonix Flying & Travel Earplugs come in a slim and lightweight carry case that won’t take up a lot of space. Traveling to other places is great, but getting to your destination can be a problem. Aside from the stress of planning your itinerary and packing your bags, you’ll have to deal with airplane air, which is caused by the imbalance of air pressure inside and outside the ears and makes you feel pain. Not to mention the noise in the cabin, which can be distracting and disturbing particularly if you want to sleep. 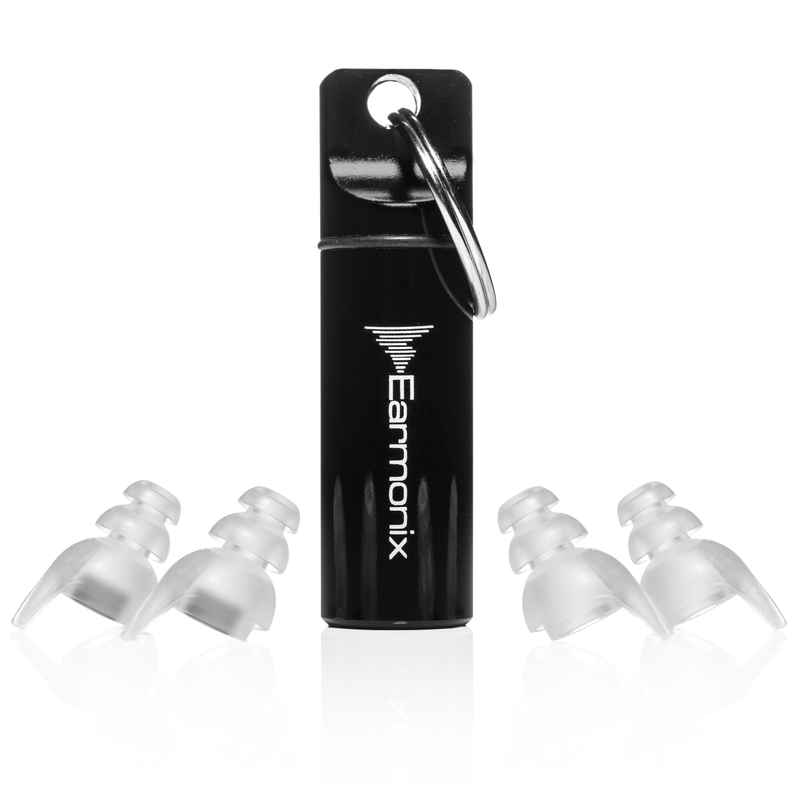 Fortunately, we’ve created a solution for you: the Earmonix Flying & Travel Earplugs. These noise-reducing earplugs are specially designed to regulate the change in air pressure between the cabin and your ear, allowing you to avoid ear pain during takeoffs and landings. 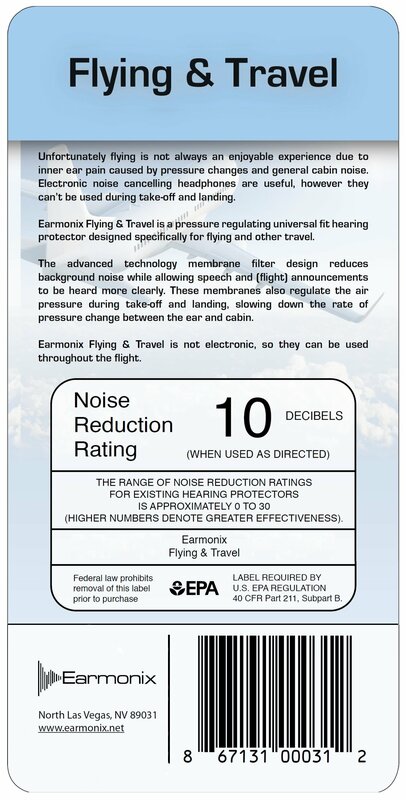 The advanced membrane filter design provides a NRR rating of 10dB and a SNR rating of 17dB which reduces background noise while allowing speech and flight announcements to be heard more clearly. 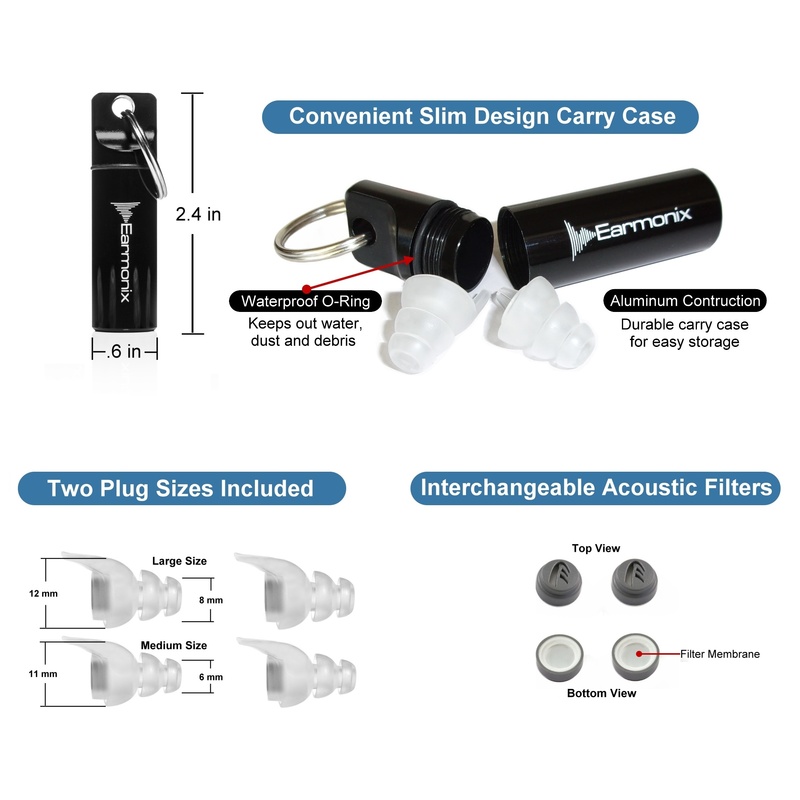 One of the best things about the Earmonix Flying & Travel Earplugs is that they come with a slim carry case, so they won’t add any more bulk to your luggage and you can easily slip them in your purse or pocket. They’re also easy to clean: simply wipe them with a damp cloth or antibacterial cleaning tissues after using, and they’re ready to go! You can wash them with mild soap and water once you get home from the trip to get them ready for your next travels. 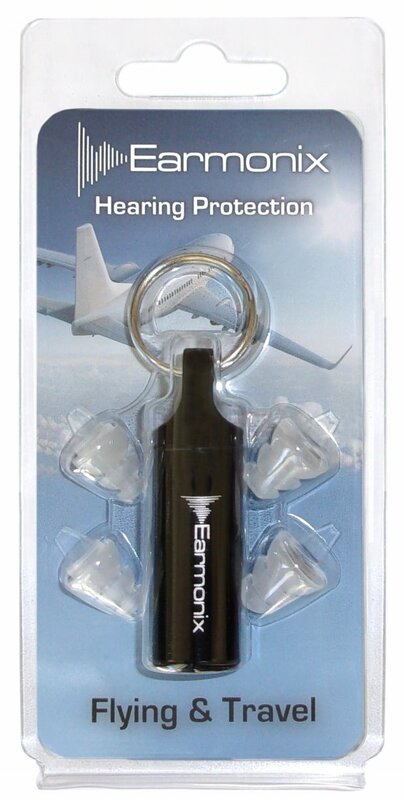 You don’t even have to go on a plane to use the Earmonix Flying & Travel Earplugs! If you’re riding in a car, bus or train, or staying at a noisy hotel, you can pull out your earplugs, tune out the noise around you, and enjoy a nap or a good night’s sleep. 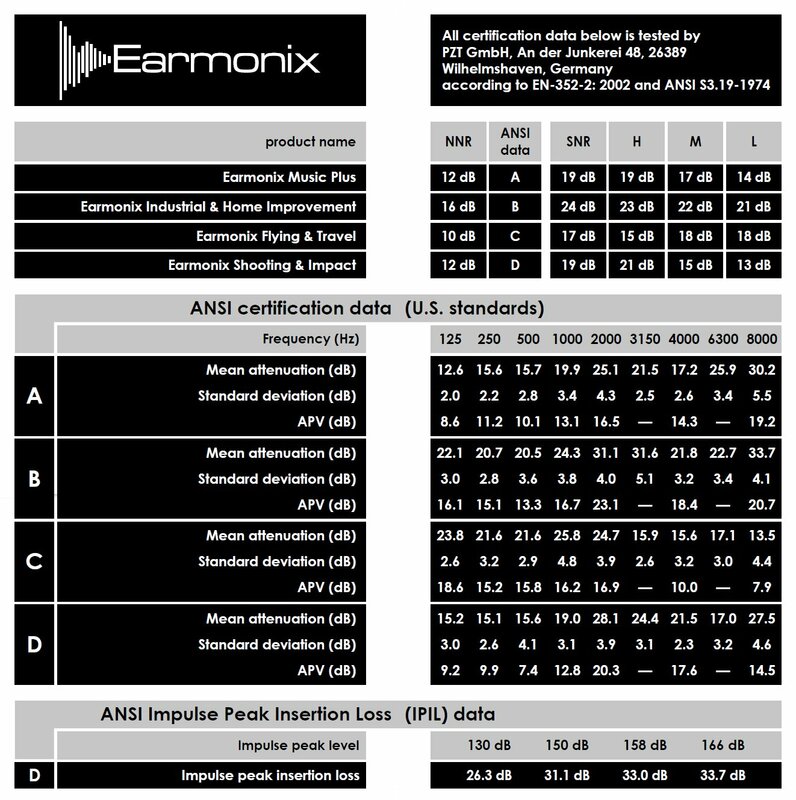 Everyone deserves to have a smooth, peaceful, and pain-free trip, so get your hands on the Earmonix Flying & Travel Earplugs today! I like having my window open when driving but the wind and road noise bothers me after awhile. These plugs work great for reducing the noise making for a much quieter ride and I can even hear my radio better.